Erik Solbakken is regarded as one of Norway’s most skilled rider. He’s been riding for about ten years, and is constantly progressing. After several years of riding with no particular direction and ambitions, he’s now doing more competitions and making more videos. Erik has been starred at Norwegian broadcasting several times, both NRK1 and TV2. Now studying in Oslo, Norway, he’s also performing trial demos to promote the sport and making an extra income. Erik is considered as a nice guy which loves biketrial, but one of his concerns is that there is such a small competition scene in Norway. 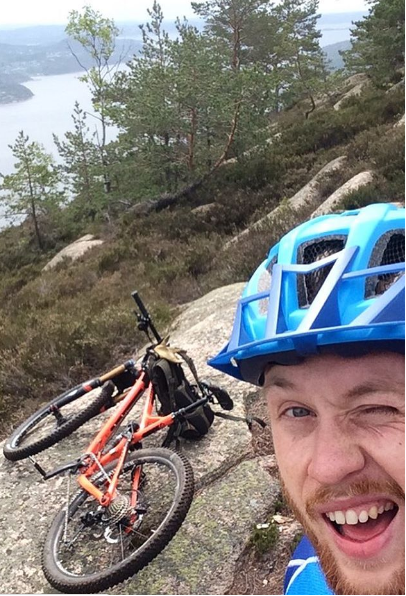 That’s way he became one of the initiators for Oslo Ride, the most popular group ride ever in Norwegian history. Also, he’s an author at biketrial.no, Norway’s offical biketrial portal. Expect more to come from this up-and-coming rider in the future!